Suyash Group are into Residential Projects, Commercial Projects, Civil Engineering, Infrastructure as well as Maintenance services since the year 2007. This group is leading real estate developer group in Nashik making them one of the trusted player in Nashik Real Estate Industry. S-4, Suyojit Modern Point, Opp. Police Parade Ground, Sharanpur Road, Nashik. Please enter valid user name. Please enter valid captcha value. The Imperial Apartment is an ultra premium project based on the futuristic concept of luxurious limited edition sky villas. The project is located in the premier locality of the city but is away from the hustle bustle, amidst nature surrounded by lush green vistas and offers a riverside living experience. 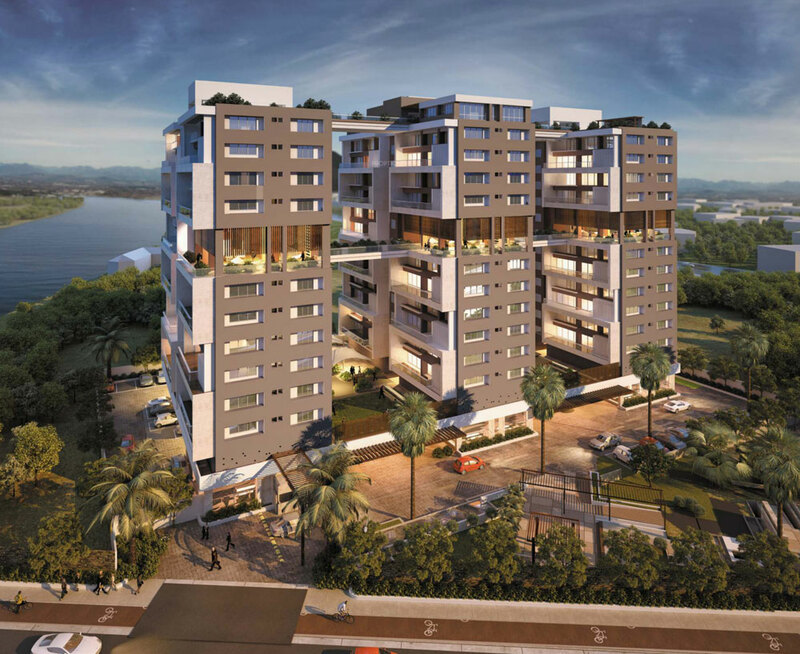 A first of its kind super luxurious feature of the project is the sky bridges connectivity of all the three towers. The 13 Storied towers offer limited edition sky villas of around 4,000 sq. ft each offering a luxurious 4 BHKT duplex villa. The project is embedded with 4 levels of Health, Luxury, Lifestyle and recreational facilities. Please Note : NashikProperty.com Portal is only a medium or platform to make easy communications between Seller and Customer/Buyer/User and is not and cannot be a party to or control in any manner any transactions between the Seller and the Customer/Buyer/User. NashikProperty.com Portal shall neither be responsible nor liable to resolve any disputes or disagreements between the Customer/Buyer/User and the Seller and both Seller and Customer/Buyer/User shall settle all such disputes without involving NashikProperty.com Portal in any manner.All trademarks, logos, images and names are provided by respective Owners/Builders/Promoters/Agents/Brokers.